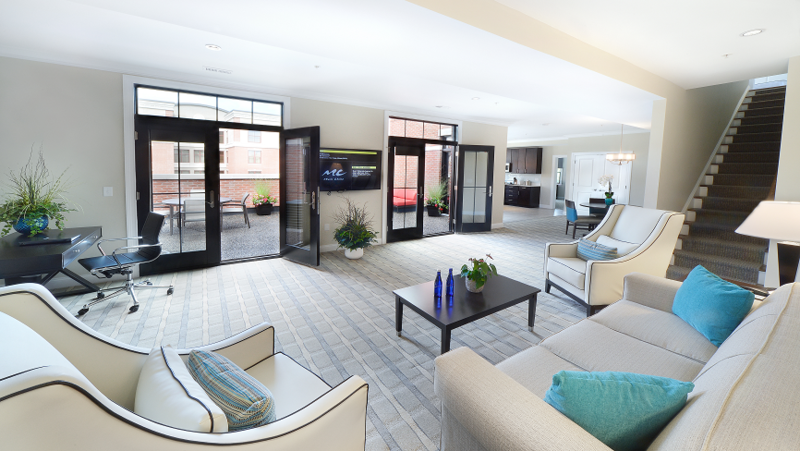 Step inside any of our hotel’s accommodations in Saratoga Springs, NY and find yourself transported to a modern day oasis, where everyday stresses melt away and everything you need is right at your fingertips. 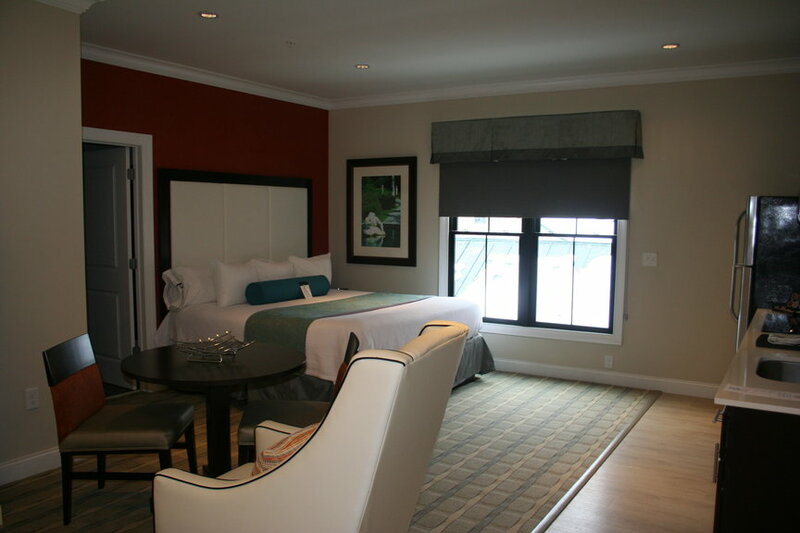 Our 54 luxury suites and rooms have been carefully designed and outfitted to make every trip something special. 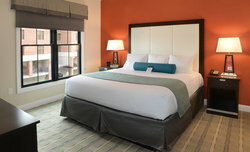 Whether you’re traveling for business or leisure, we have the perfect hotel accommodations for you. 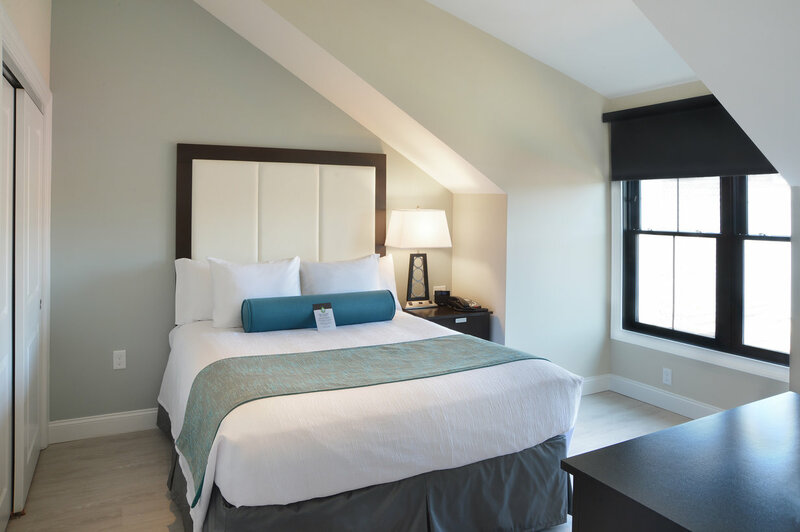 Never overstated, the apartment style space in all of our suites allows you the opportunity to relax in space usually only reserved at the highest level at any other location and our traditional king rooms offer the simple pleasures of a traditional hotel room. 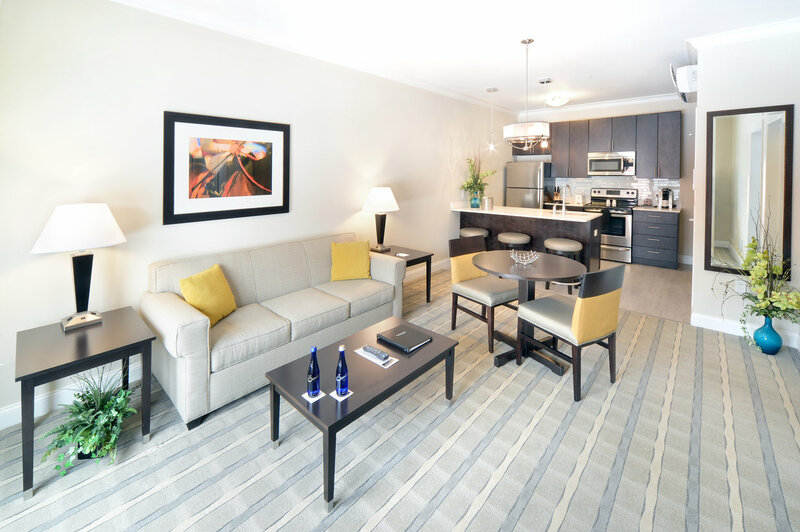 In addition to our suites’ colorful design, carefully-selected features and helpful perks, our suites also have access to the Pavilion Grand Hotel’s full range of amenities. From multiple on-site dining options to workouts and spa services, to boutique concierge level service, a hotel stay with us is truly like no other. 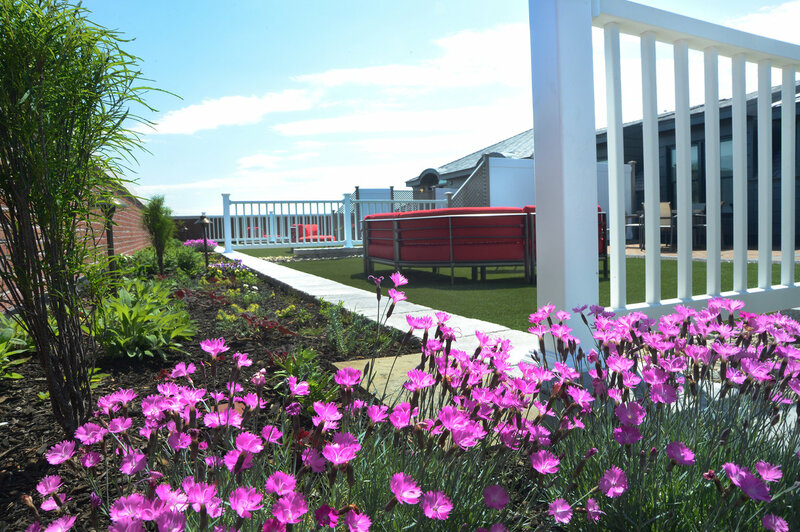 We offer a wide range of large, welcoming rooms and suites, with our rooms at approx. 300 square feet and the very smallest suite starting at 600 square feet (almost twice the size of the average hotel room). 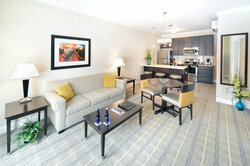 All of our suites include ample space to unwind and relax, with 55” LCD TVs and a wide range of channels. If you need to sit down and focus on your work, you’ll have space to spread out and the high-speed Wi-Fi to support your needs. 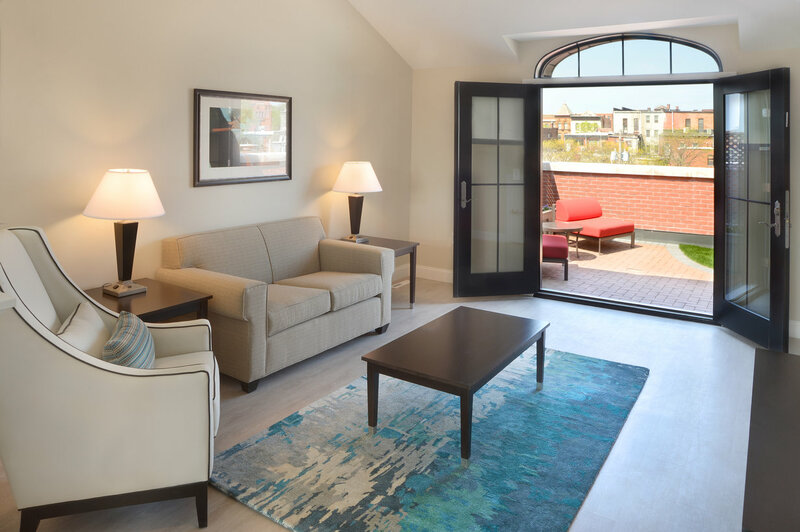 Every suite has 9-foot ceilings with crown moldings and large bright windows giving you the feel of a luxury city apartment! And outside our lodging, downtown Saratoga Springs NY is just steps away. Walk to Broadway from your room or suite, where world-class restaurants, galleries, shops, and venues await. 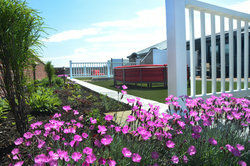 Enrich your stay with one of our exclusive hotel packages and add-ons! 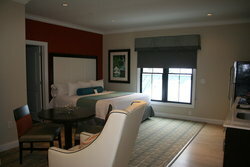 Our Traditional King Room is Pavilion Grand Hotel’s only non-suite accommodation. Offering all the luxuries that Pavilion Grand is known for with plush robes, luxury linens and beautiful amenities, this accommodation features a king bed room with hand tiled bathroom and the beautiful simplicity of a traditional bedroom accommodation. 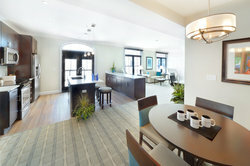 The marriage of sophisticated style and comfort creates an ideal home base in Saratoga Springs! The Penthouse Suite is a high-end, apartment-style space stretched over two floors. The most unique suites in Northeast US, our Penthouse Suite boasts two graciously large guest rooms, including a master bedroom and private en suite on the main floor. 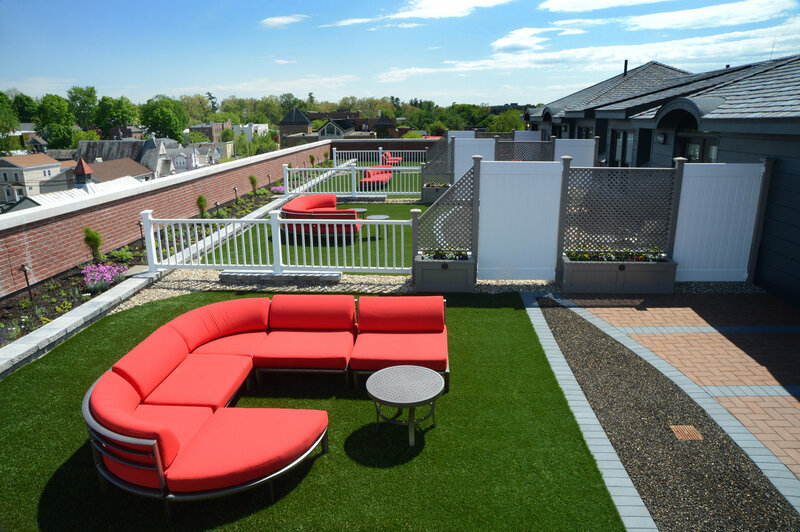 Each Penthouse Suite has an enormous private rooftop garden or private walkout terrace, with outdoor furniture, colorful plants and sweeping views of Saratoga. The Penthouse Suite boasts two floors of space: on the first floor, a high-end kitchen with island that opens up onto separate living and dining areas for guests. 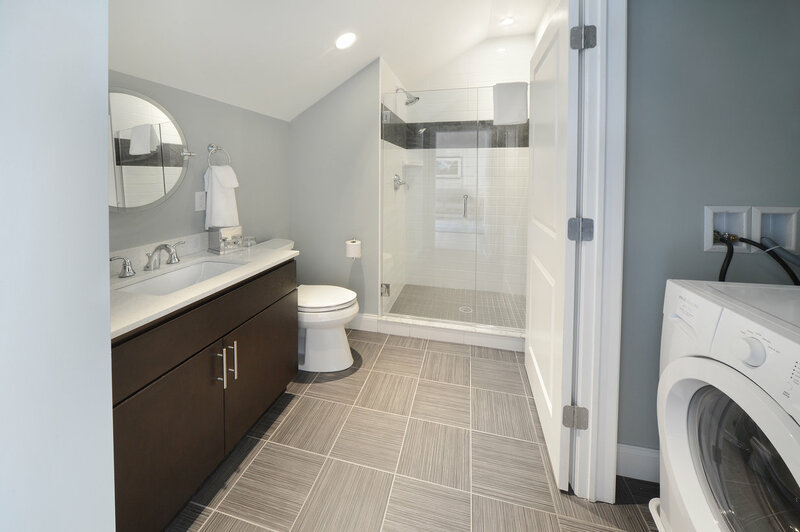 Also on the first floor is the master bedroom with a king bed, walk-in closet (in most suites) and en-suite bathroom with dual vanities. For your privacy, there is also a half bath for guests on the first floor. 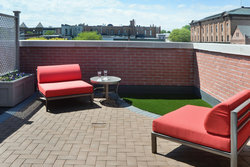 The Penthouse Suites’ Terraces make for a unique and memorable event space, perfect for private functions and small gatherings. Winner of the 2016 Saratoga Showcase of Homes Grand Prize Drawing Announced! Last Tuesday, Ballston Lake-native Ric Jesmain was awarded the 2016 Saratoga Showcase of Homes Grand Prize drawing donated by Pavilion Grand Hotel and the independent businesses of Pavilion Square. This unique suite is perfect for off-site meetings and gatherings, with a large boardroom-style table and facilities an event for 10 to 12 people. Located across one floor and lots of extra space, this suite has an oversized bedroom and en-suite, as well as a half bath available for guests, and a full kitchen and living room adjacent to the board table. 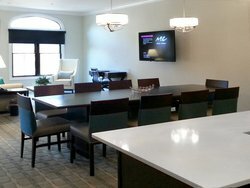 Book a unique suite that is perfect for off-site meetings and gathering. 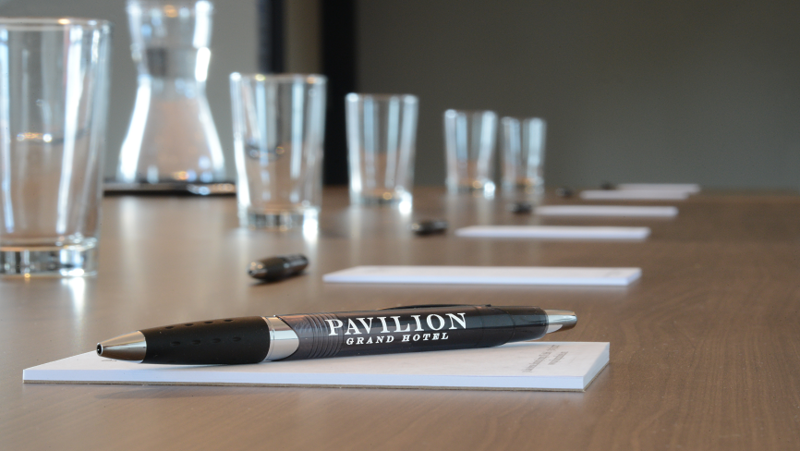 The Executive Suite has a large boardroom-style table and accommodates an event for 10 to 12 people. Located across one floor and lots of extra space, this suite has oversized king bedroom and ensuite, as well as a half bath available for guests, a full kitchen and living room adjacent to the board table. And outside our lodging, downtown Saratoga Springs NY is just steps away. Walk to Broadway from your suite, where world-class restaurants, galleries, shops and venues await. 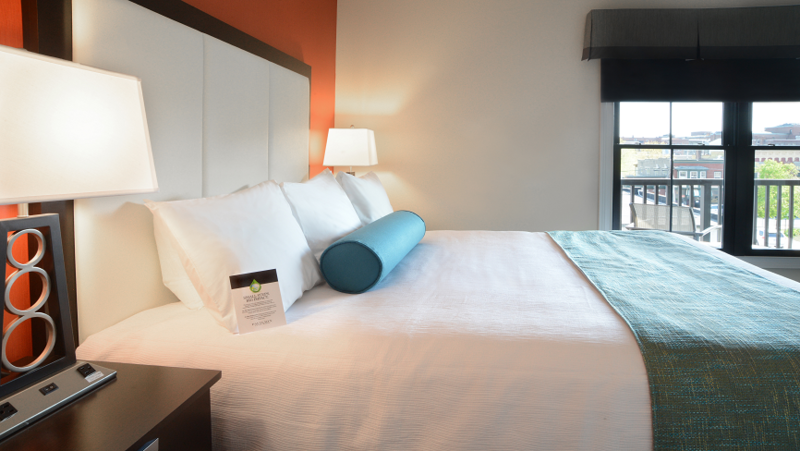 Enrich your stay with one of our exclusive hotel packages and add-ons! We specialize at hosting and planning events in Saratoga Springs that takes the stress off your shoulders and will have your guests raving. We are a true one-stop-shop: restaurant-quality catering, on-site event experts, spa services, and guest accommodations all in one stylish package. We bring the highest level of expertise to large events, small gatherings, and everything in between. 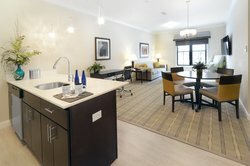 Set up for the whole family or a large group, our Deluxe Two Bedroom Suite is a high-end apartment of your very own in Saratoga Springs! The suite’s two private bedrooms (king in the master and queen in the guest room) each have plush bedding and lots of space. After a relaxing nights sleep, gather in the living area with space for everyone to watch TV, eat a meal, or plan your day in comfort. 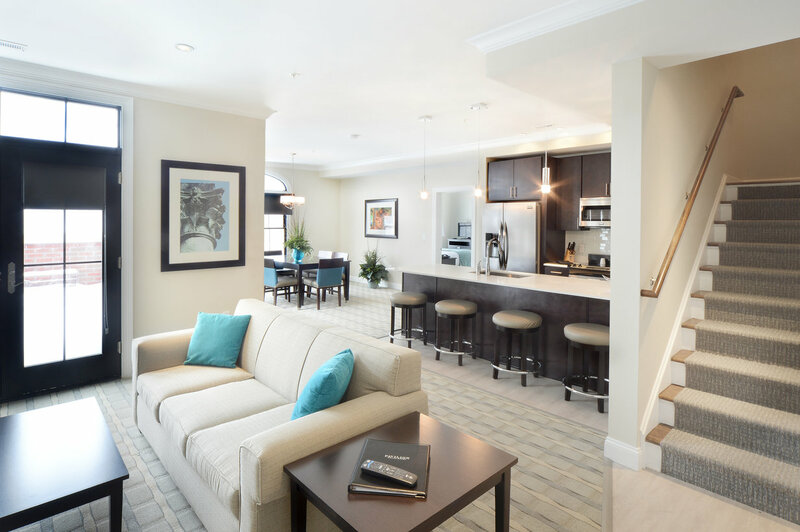 In addition to our suites’ colorful design, carefully-selected features and helpful perks, our suites also have access to the Pavilion Grand Hotel’s full range of amenities. From multiple on-site dining options, to work outs and spa services, to boutique concierge level service, a hotel stay with us is truly like no other. 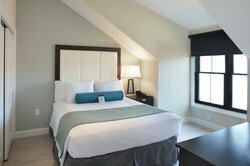 Our largest bedroom suite with a terrace and large sweeping windows. 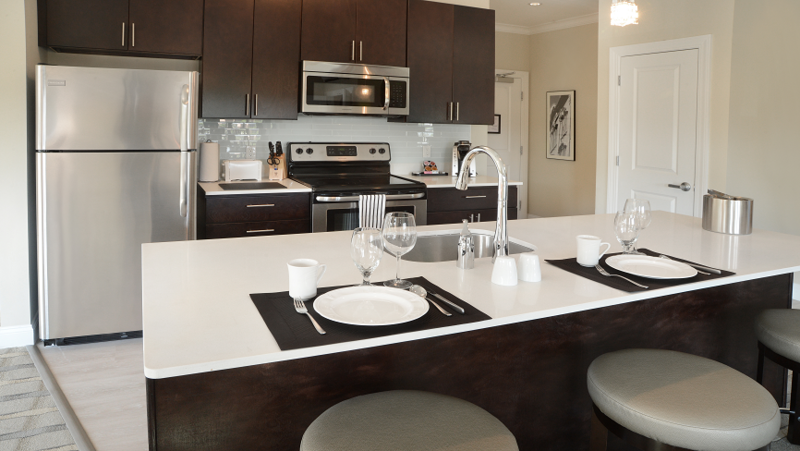 The Concierge Suites bring the comfort of a high-end condo to a boutique hotel level. A plush king bed with premium linens are the focal point of the suite’s bright bedroom, alongside the fully-appointed kitchen and living room area. 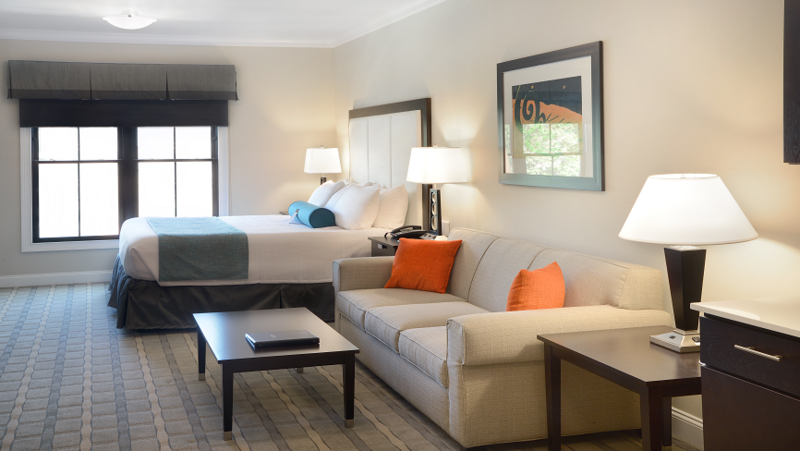 Treat your weekdays like the weekend and enjoy a secluded and luxurious getaway like no other in Saratoga Springs. Come and join us at the Pavilion Grand! 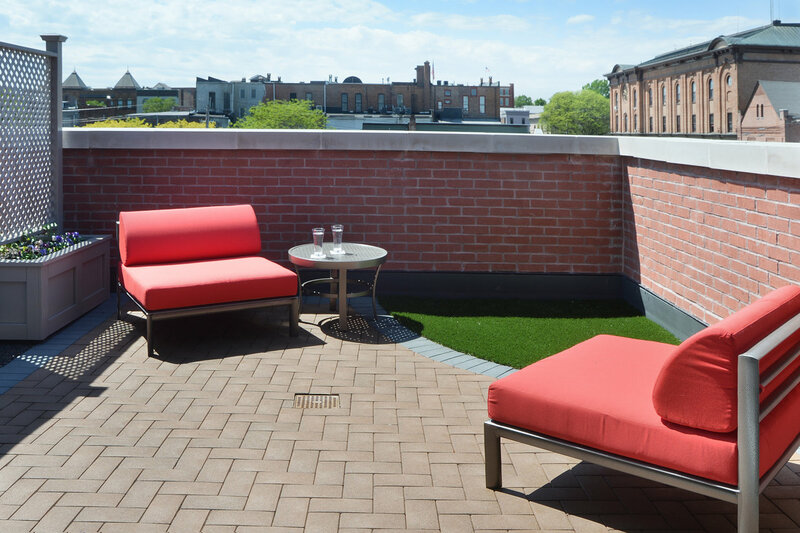 Enjoy a private walkout balcony or terrace in the heart of the city to enjoy a door to the outside. 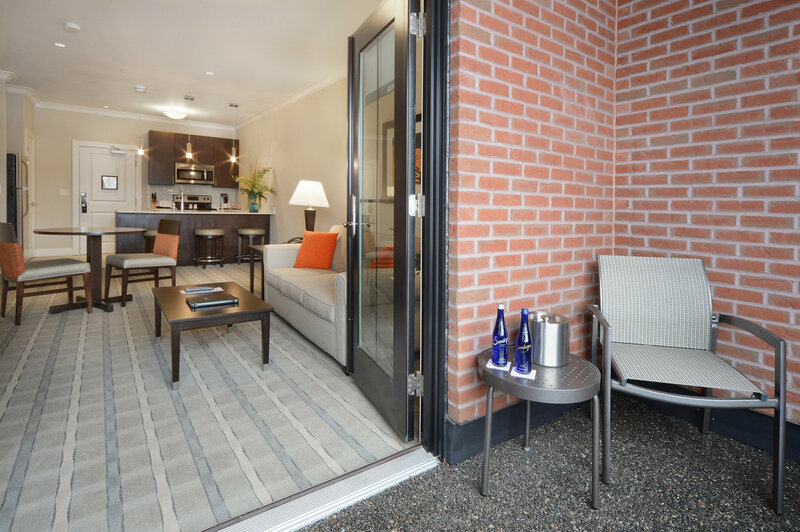 Enjoy a private walkout balcony or terrace in the heart of the city to enjoy a door to the outside. The suite’s kitchen and living space are separated from a spacious bedroom with a plush king-sized mattress and generous closet space. 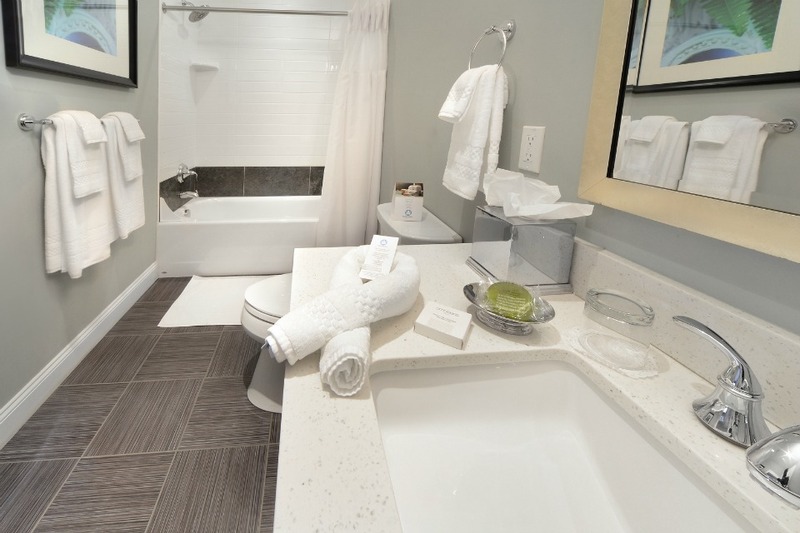 Step inside any of our hotel’s lodging in Saratoga Springs, NY and find yourself transported to a serene modern day oasis, where everyday stresses melt away and everything you need is right at your fingertips. 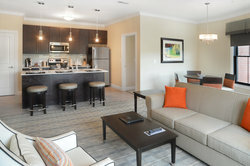 Our 48 luxury suites have been carefully designed and outfitted to make every trip something special. 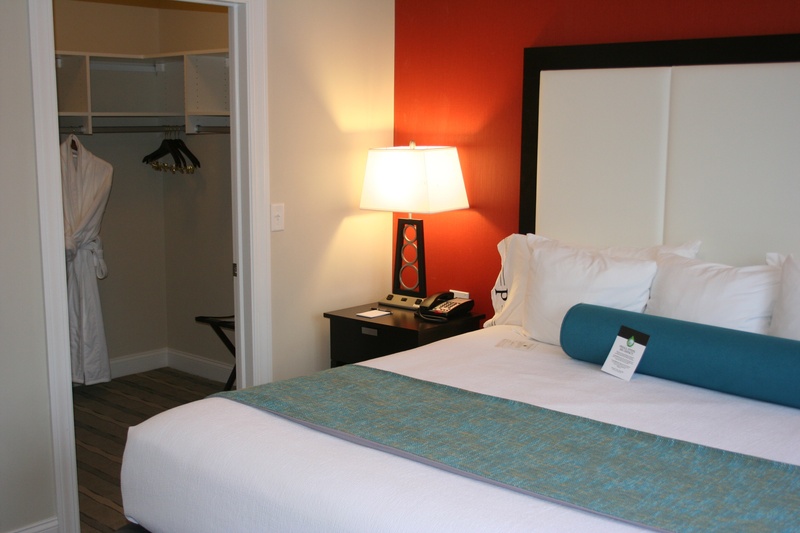 Whether you’re traveling for business or leisure, we have the perfect hotel accommodations for you. 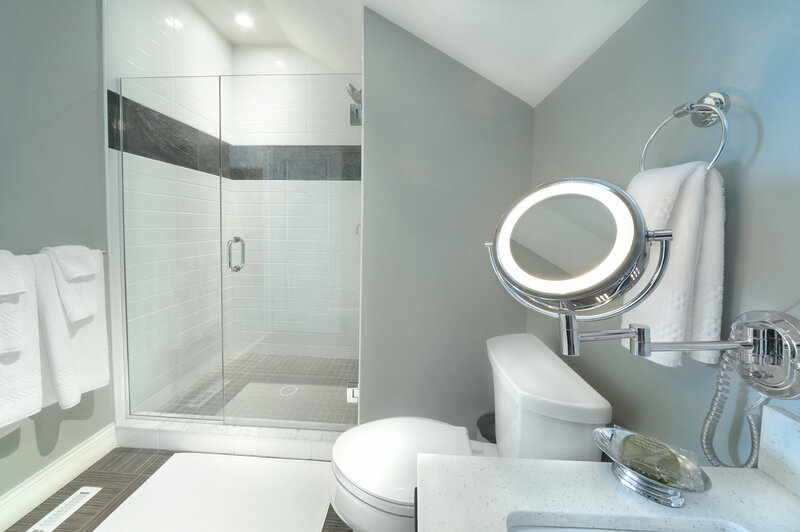 Not overstated, the apartment style space in all of our suites allow the guest the opportunity to relax in space usually only reserved at the highest level at any other location. 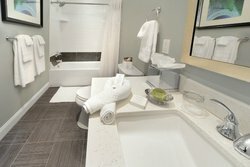 The Grand One Bedroom Suite elevates the standard hotel room from pure function to a beautiful retreat with custom features and amenities. Enjoy generous closet space and lavish king mattress in a separate bedroom adjacent to the large kitchen and living room area. Our oversized Signature Studio with Terrace features bold colorful design in a bright, light-filled room. 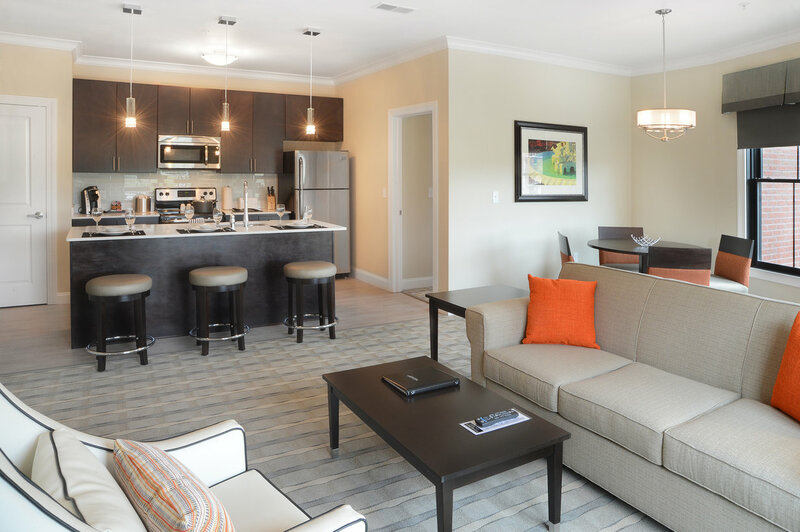 Wind down after an exciting day with a large TV and sitting area, which includes a queen-sized sleeper sofa, or step outside on your very own private balcony. 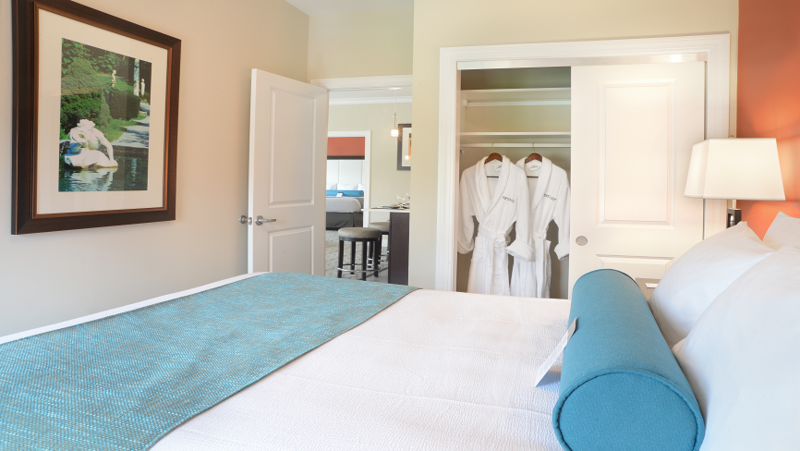 Our straightforward Signature Studio is still one of the most spacious hotel accommodations in Saratoga Springs. Your bright and colorful home away from home includes a full kitchen and living room area in addition to the lavish sleeping area, in a sleek and spacious studio. Contemporary, elegant and all the perks for an unforgettable stay. 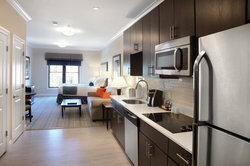 The Single Studio has a lavish king size bed with a comfortable living, dining, and cooking area. Everything you need for a home away from home in sleek Saratoga Springs NY lodging for 1-2 guests.